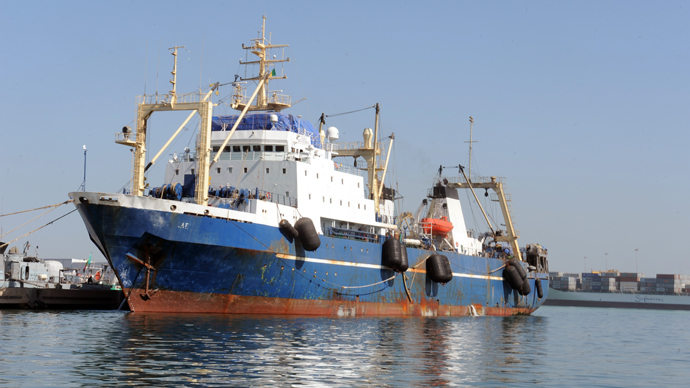 The Senegal authorities have arrested a Russian trawler and escorted it to the port of Dakar, saying that the vessel has been fishing illegally it its territorial waters and now faces a fine of 600,000 euros. The Oleg Naydenov trawler was stopped by the Senegal military 46 miles off the shore of Guinea-Bissau in West Africa on Saturday. Four soldiers “armed with automatic weapons” from Senegal’s navy ship, Ferlo, boarded the Russian vessel “without explanation or any apparent reason,” Aleksandr Savelyev, a spokesman for Russia's federal fisheries agency Rosrybolovstvo, told Interfax. According to the spokesman, the soldiers ordered captain, Vadim Mantorov, to proceed to the Senegal warship with them, but he refused to obey. “Then Senegalese troops attempted to bring him to the military vessel by force, but the first mate announced a general ship alarm,” Savelyev said. The captain remained aboard the Oleg Naydenov vessel, but was removed from command and handcuffed. 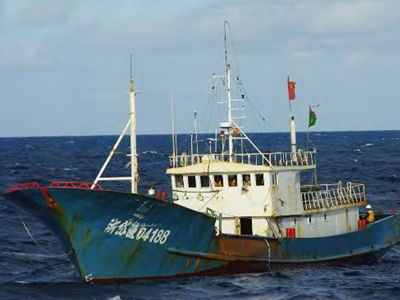 There were 62 Russians and 20 Guinea-Bissau citizens aboard the fishing ship when it was arrested. 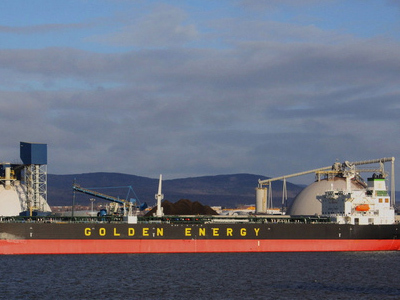 The Oleg Naydenov is owned by Feniks (Phoenix) company, which has its headquarters in the city of Murmansk in the northwestern part of Russia. 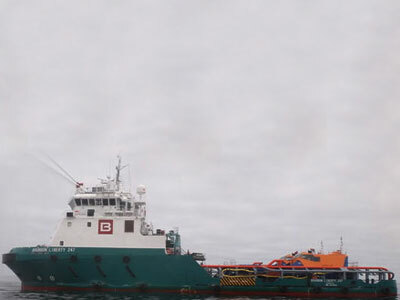 After being stopped, the trawler was escorted to the port of Dakar in Senegal where it’s impounded at a military base and heavily guarded, Yury Parshev, Feniks CEO, told RIA-Novosti news agency. According to Parshev, the passports were taken away from all of the people aboard the Oleg Naydenov. The Russian captain was later able to contact the ship-owner via radio, saying that several crew members, including him, required medical attention due to the violent actions of Senegalese soldiers. Mantorov was bruised during the arrest, with the trawler’s barmaid apparently receiving an arm fracture. Several Guinea-Bissau sailors were also hurt as the military were especially rude while searching them. Despite his injuries, the captain stressed that he has no intention of leaving his ship, Rosrybolovstvo said. The Senegal authorities claimed that the Oleg Naydenov has been stopped for repeatedly fishing illegally in the country’s waters. “The Oleg Naydenov, this big fishing boat, which you see behind me and which is 120 meters long... was fishing fraudulently, without any authorization in Senegalese waters,” Haidar El-Ali, Senegal’s fisheries minister, told journalists at Dakar’s port. The African state has every right to seize the ship and its cargo and impose a maximum fine of 200 million CFA francs (nearly 305,000 euros) for the violation, he said. But the Russian trawler will be fined twice as much (around 610,000 euros) as it’s a “repeat offender,” according to El-Ali. Senegal “can also take this case to the courts because [the ship's captain] would not obey,” the minister is cited as saying by AFP. “This only made it worse ... They are thugs and we will fight these thugs,” he said. Savelyev told ITAR-TASS news agency that at the moment of the arrest the Russian trawler wasn’t performing any fishing activities. “The trail net wasn’t in the water. The Oleg Naydenov was moving to another location,” he said. 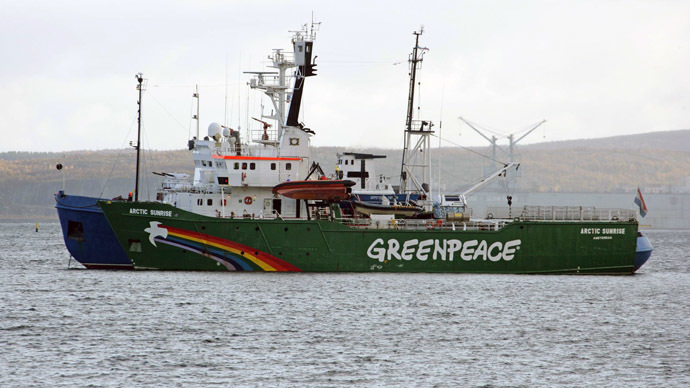 The spokesman also said claims that Russian ship has previously received warnings for illegal fishing were false. The Oleg Naydenov was in Guinea-Bissau, not Senegalese waters when it was stopped, Savelyev stressed. As a result, the incident “has outraged not only Russia, but Guinea-Bissau as well. Guinea-Bissau has already cancelled the fishery agreement it had with Senegal,” he said. Rosrybolovstvo plans to file a note of protest about the stopping of the Oleg Naydenov to Senegal’s Fisheries Ministry on Monday. The document, which has already been put together, labels the action of the Senegalese military as unacceptable and calls for disputes between Russia and Senegal to be resolved in accordance with the fishery agreement the two countries have. The Russian embassy in Senegal has already filed a similar note with the country’s Foreign Ministry, Andrey Krainiy, Rosrybolovstvo head, told Dozhd channel. “On January, 7 the Russian ambassador will hold a meeting with Senegal’s president (Macky Sall) on Tuesday, which hopefully will draw a line under this story, and the ship will be released,” Krainiy stressed.